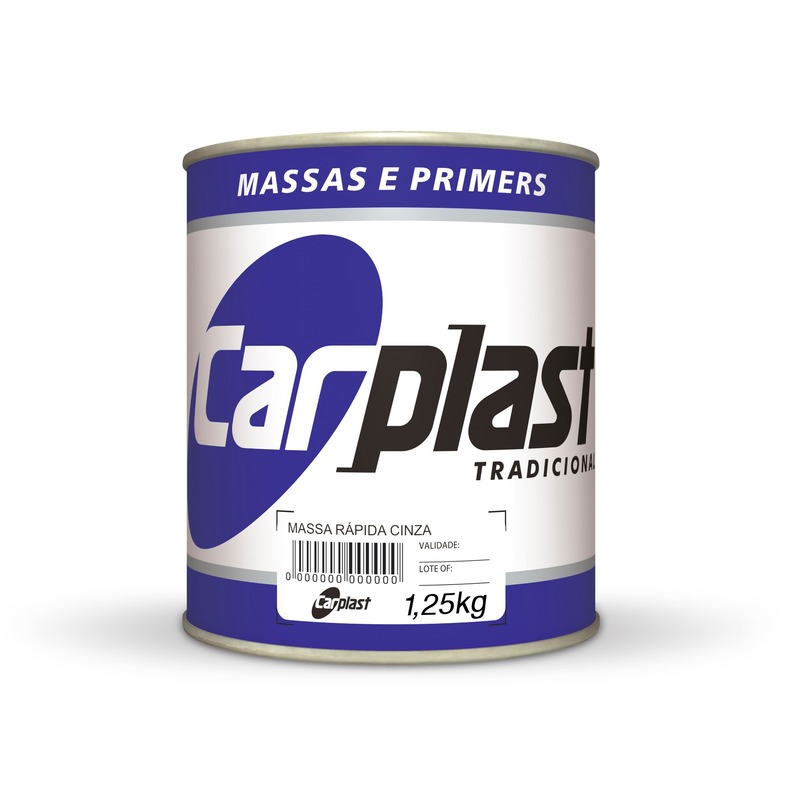 Indicated to correct small scratches and imperfections such as sanding marks on the surface to be repainted, where a good leveling can not be obtained with the application of plastic adhesives, polyester and / or universal primer. • Homogenize the product before application. • After the recommended drying time (40 min.) Dry sand with 220 grit sandpaper and finish with 320 grit sandpaper. • The quick mass should not be applied directly on sheet metal, always on the first universal. • To avoid absorption of the finish by the mass, apply a coat of primer on the region with mass. • To avoid mapping, wait for the recommended drying time for sanding. • Forced drying with high temperature can cause cracks, bubbles and loss of adhesion. Alkyd resins, mineral fillers, nitrocellulose, various pigments, additives, various solvents.